What if books weren’t pages of stories to be read that transport us to other times, places? That allow us to experience the realities of others life experiences by seeing it through their lenses. Imagine, instead, a world where people utilize books not just to hold but to wipe away the memories they no longer want to remember. To erase pain, grief, betrayal, trauma and other various vulgar sins committed, and committed against them. A time when books are forbidden because of their power to unleash and wield power. Not the power of knowledge we consider today but a different kind of power; yet power all the same. A story that parallel’s today’s world where we still ban books due to the truth they speak, the unabashed power they provide power and empowerment to change themselves, their communities and the world. Through knowledge. However, like much in life everything comes with a price. Like most things that seem too simple, too good to true; the simplest way to start a new, a fresh slate to walk away from the scars and pain that burden us all, everything comes with a price. The question becomes what price you are willing to pay for it. Secondly, painful memories that are binded away, and hidden most likely hold secrets that people long to bury. What power can be held over people that have secrets and pain binded in these magical books, should they find their way into the wrong hands? Blackmail? Worse? 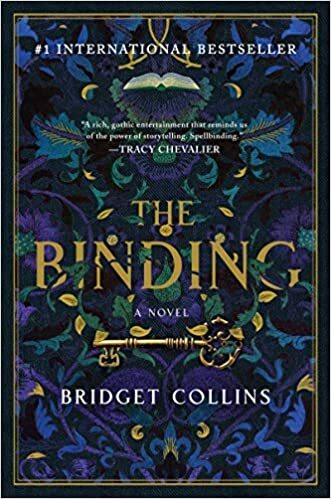 In The Binding by Bridget Collins explores these and many other themes that in the approximate time period given are forbidden. These include male/male relationships that also cross the lines of classism, and the utilization of books. Additionally, for sensitive readers note that many memories binded into books (both those utilized by unscrupulous villains and described by those during the binding process) are vividly detailed around sexual abuse, general abuse, as well as other traumatic events. During the first part of the book we learn of Emmit, and his calling to become a binder apprentice. He heeds his calling with apprehension. Not just anyone is called to this path, as not anyone is born with the enhanced ability to bind memories to a book. Shortly upon his arrival, his mentor is dies. He continues his work when he finds an already binded book with his name on it. As he opens his own book a tragic event leads to the recovery of the memories within the book. Soon the clash between who he thought he was verse who he is collides. While I won’t spoil where this journey takes Emmit, another theme now surfaces. At what cost does taking past traumas, pains and secrets from our lives cost us? Do these scars serve a purpose in making us who we are? For better or worse, do accepting and working through traumas stay with us and make us better/serve us? Or are we better off without them? Are we willing to trust these binders with our deepest, most painful secrets? In some cases, our most dangerous and egregious secrets? Should they fall in the wrong hands, what damage could we be doing to ourselves and others? The Binding is a unique Magical Realism book unlike anything I have read to this point, which is why I requested it as an ARC, and I was not disappointed. If you are looking for a lot of character development, you may not fully appreciate this book. There isn’t much character driven as it is story a plot driven story. The writing had a poetic prose sense about it and lulls you in, if you let it. I can see where it might be too slow for some at times. However, for me I think that is part of what makes the story work. However, the overarching themes are incredibly well developed and addressed throughout the book. I glossed over some themes in this review, in order to not spoil the book, but rest assured they are deeply addressed and brought into developed conclusions in the book. Due to the nature of the plot/theme driven structure, the characters are more devices in which to drive the plot. Having the characters more developed would have made the book slower, more clunky and gotten in the way of the most important parts of the book, which are the themes and plot. I recently bought this book and have been meaning to read it because it sounded so interesting but have been putting it off. Thank you for sharing your review, it was the motivation I needed! Yay!!!! Cant wait to hear what you think? I hope the pacing doesn’t throw people off. This one definitely sounds interesting, and I’m going to add it to my TBR. I’ve been meaning to get into some more adult novels, and this really sounds like something I’d be into! The premise about books sounds interesting! OK, this sounds good – excited to read it now! Fantastic review as always! I added this recently to my TBR, looking forward to reading it soon! WordPress hating us is something we have in common. When it comes to those that use the binding for all the wrong reasons it gets into dark waters! 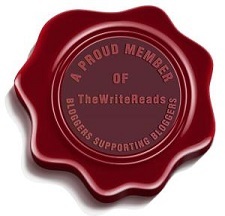 I am glad to help you bump this up… I thought it might fly under the radar but I’m seeing more and more talk about it! I am so excited to read this book, Susan! Lovely review – can’t wait to pick it up! Thank you! I cant wait to see what you think of it!